A double DNF at the Tissot Australian Grand Prix, after Dani Pedrosa was collided into and Marc Marquez crashed while leading, made it a difficult day for Repsol Honda at Phillip Island on Sunday. It has been a roller coaster week for the Repsol Honda Team, after clinching the World Championship last weekend in Japan, things did not go according to plan in Australia. 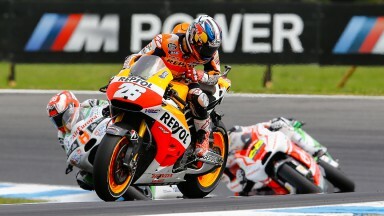 Pedrosa struggled off the line, getting caught behind several riders and was squeezed down to ninth place by lap five. Lap seven saw Andrea Iannone (Pramac Racing) collide with the rear of Pedrosa’s Honda at Turn 4, deforming the rear wheel rim and forcing a retirement. 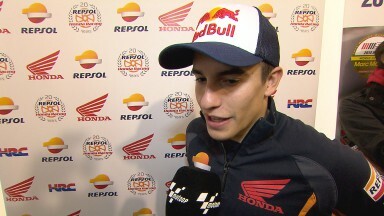 Marquez, meanwhile, had fought past Jorge Lorenzo (Movistar Yamaha MotoGP) to lead comfortably. 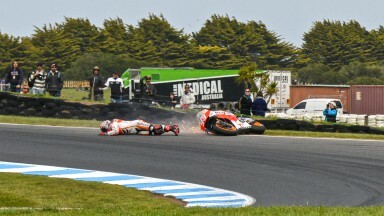 With a four second lead and ten laps to go, the double MotoGP™ World Champion lost the front entering Lukey Heights. Portugal 2010 was the last time that the Repsol Honda Team experienced a double DNF. They now move on to Malaysia for the final race of the three ‘flyaways’ next weekned. 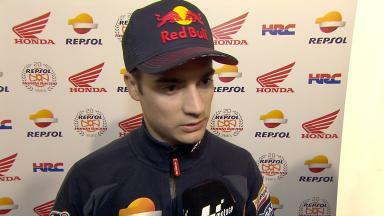 Pedrosa lost points in the race for second place in the Championship and now lies in fourth place with 230 points, with Rossi on 255 and Lorenzo on 247.